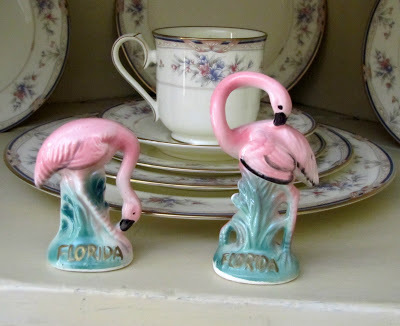 Some people ask why I am drawn to vintage items. If I go to a garage sale I fly past the clothes and Tupperware and go straight for the old glassware. And if I see a piece of antique furniture I am in heaven. Oh, and a chippy, wobbly old chair is sure to come home with me. Well, I get a lot of my vintage inspiration from my Grandmother’s corner cabinet. This was originally in my Grandma’s living room, then my Mom’s house and now my dining room. and a large collection of china dogs. Here is one of them that I have on the shelf of my TV armoire. 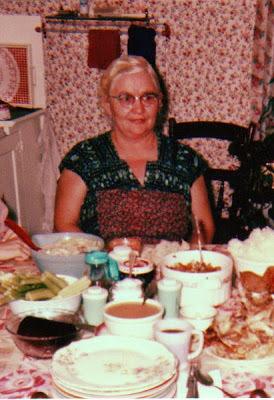 So I guess I get a lot of vintage inspiration from Grandma! I’m joining Debra at Common Ground for her brand new party Vintage Inspiration Friday (yeah, I know it’s Sunday, but better late than never). 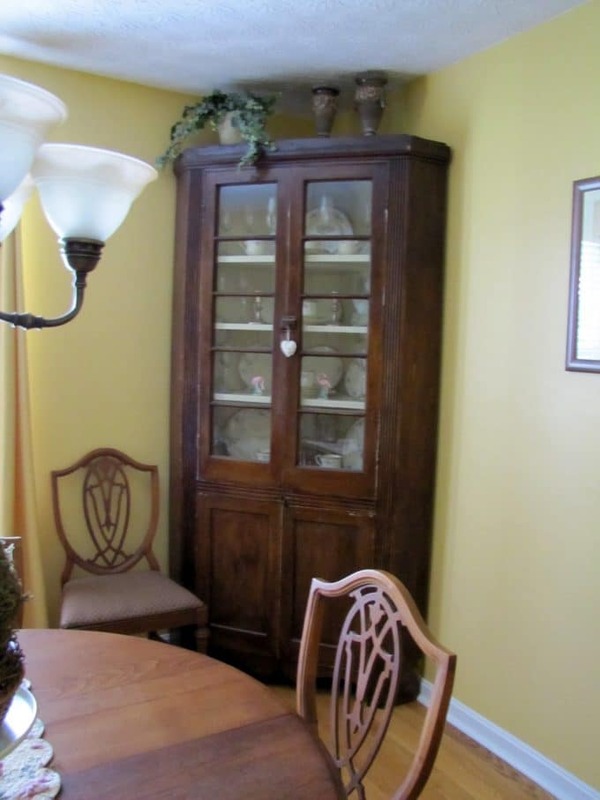 What a great old corner cupboard, bet it could tell some stories of what has resided within those glass doors! Your grandmother looks like the sweetest lady. Hi Pam, I’m so glad you came by, commented AND THEN linked to the party…yay!!! This is a wonderful post about your grandmother. I had one too, that has instilled in me many wonderful inspiring things. 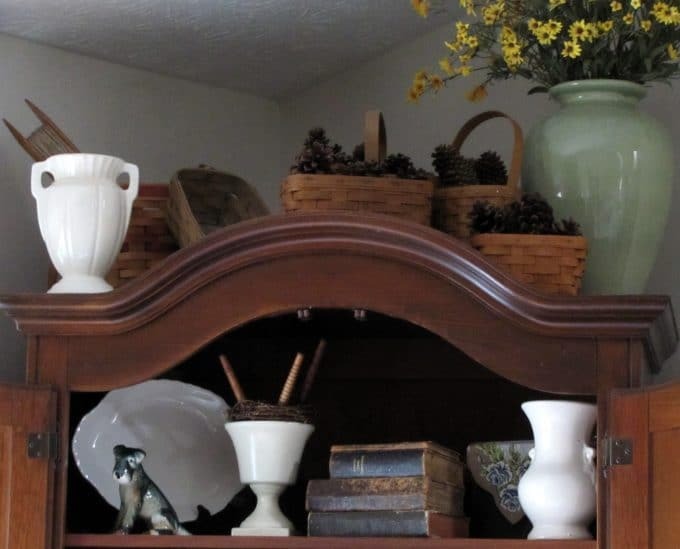 The corner cabinet is such a gorgeous heirloom piece, and the little china dog and other pieces are sharing honored spots. Just a great inspired post. Thanks so much, hope you’ll be a regular at the party! Hi Pam! What a great old hutch/cupboard! And how wonderful to have those things that belonged to your grandmother. I love the way families are connected by stories and pieces of life. 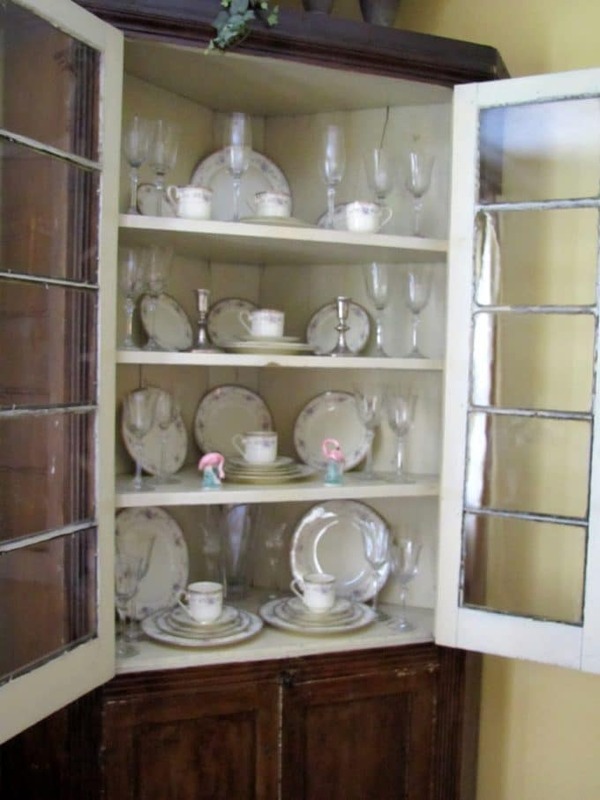 Beautiful post about your grandmother and her wonderful corner cabinet. Hope you are having a fun holiday weekend! So glad you stopped by my blog! I love your corner cupboard! I am now a follower and will be checking out the rest of your blog! I love corner cupboards! Have always wanted one but have never found one that would fit in just the right spot. We had one in our home when growing up and I remember my mother kept all her favorite things in it. I just love corner cabinets and yours is beautiful, and it was your grandmothers, that makes it even more special. 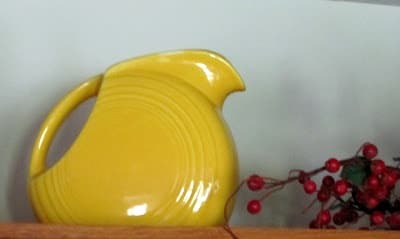 Not everyone understands the vintage thing, that’s ok, it means there is usually always something good at a sale for us. 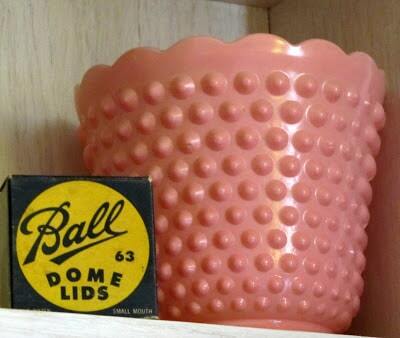 Your grandmother had great doodads!